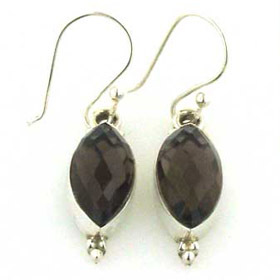 Smokey quartz pendant set in chunky sterling silver. 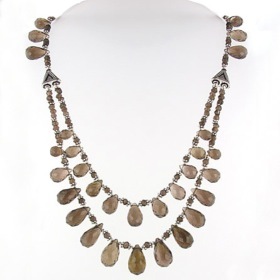 This is a superb gemstone, flawless and with excellent brilliance. 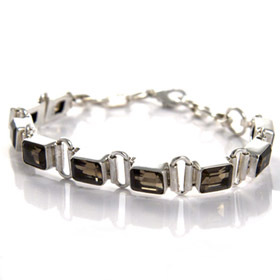 The smokey quartz is diamond cut and shimmers with a glimmer of amber light. 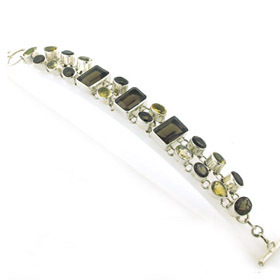 This gemstone has been expertly cut and is set into a chunky sterling silver frame. It is open at the back and held up to the light, you can see the many facets on the back of the gemstone which add to the sparkle. 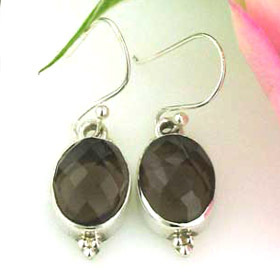 The gemstone is a warm deep brown colour and looks excellent against the sterling silver. 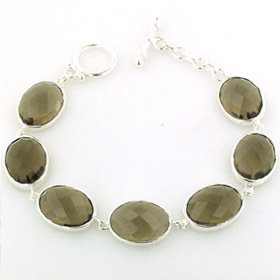 It is large stone and the sterling silver frame is deep. 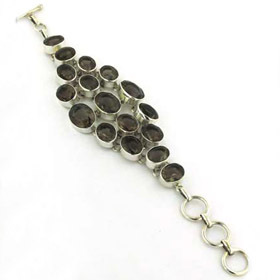 This is a large and lovely smokey quartz pendant - treat yourself today! 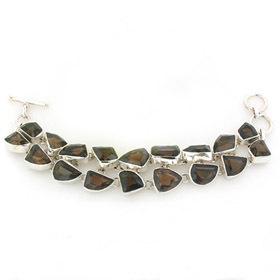 For the ideal sterling silver chain to wear with this garnet pendant see our collection of Italian sterling silver chains. 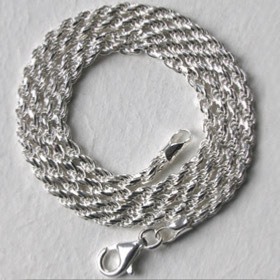 We chose our diamond cut silver rope chain, width 2.3mm to hang this gorgeous pendant. 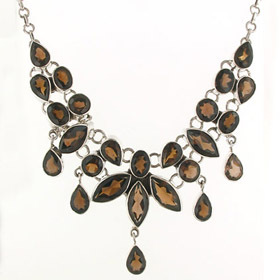 It's wonderfully sparkly and complements the pendant well.